I started playing with Google Forms last year and I’m really excited about how much easier it is going to make my life this year. Yesterday, I told you that I will be embedding Google Forms on my Weebly website to gather data from teachers I work with. 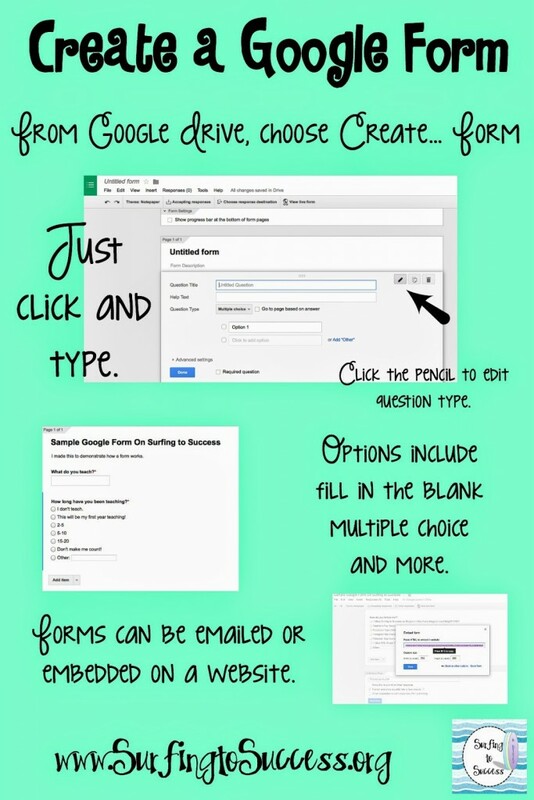 As promised today, I’ll explain a little bit about how to use Google Forms. Honestly, it is very intuitive to use. I decided to create a Google Form as an example.